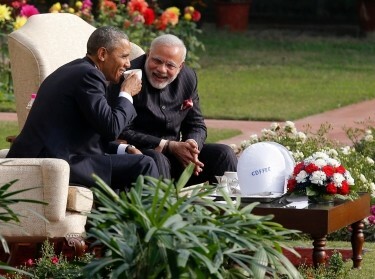 >U.S.-India Relations: Will the Obama-Modi Personal Chemistry Suffice? Starting at the amar jawan jyoti—the all-India war memorial or "India Gate"—the Indian Republic Day parade is a two-hour Soviet-style extravaganza also telecast live over TV. It shows off India's military might along with cultural tropes. Fancy military hardware—tanks, missiles, and guns—are proudly displayed and each Indian state presents the best of its culture through colorful tableaus. School children and military and paramilitary forces step smartly to anthems, including the iconic Saare Jahan se Acchha, Hindustan Hamara (“India is the best place in the world”), a rallying song against British occupation, written by the poet Mohammed Iqbal. During his recent three-day visit to India, President Obama was the guest of honor at this colorful parade, the first time in India's modern history when an American commander-in-chief has presided ceremonially at this grand event. 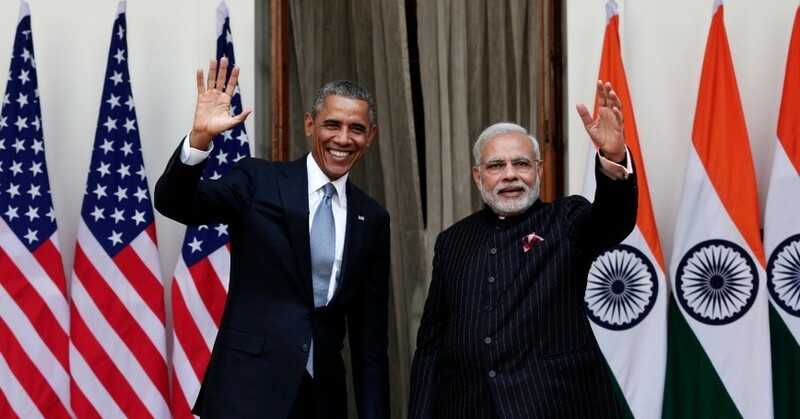 Prime Minister Narendra Modi could have offered Obama few higher honors, and the president responded by declaring the U.S.-India relationship as a defining partnership of the century. This honorific appearance was one of many symbolic firsts in Indo-U.S. relations, all of them occurring with surprising alacrity after the five-day visit to the United States in September by Modi. Personal diplomacy was clearly center stage. Breaking protocol, Modi greeted the president on the airport tarmac with gripping handshakes and bear hugs. The two leaders addressed each other jocularly by their first names. They were escorted by an honor guard uniquely headed by a female officer. They jointly addressed the Indian nation through Modi's widely broadcast Mann ki Baat (Speaking One's Mind) program. Modi hosted the president and first lady at an elaborate state dinner, attended by the elite of Indian society. The prime minister even had specially tailored garb that featured his own name worked into the pinstripe design, though this would later earn him considerable criticism for its undue showiness. With this visit, Modi appears to have achieved a key personal ambition: that of erasing lingering doubts that he is trusted by America. These doubts lie both in Modi's public service roots and his more than decade-long chief ministership of the Indian state of Gujarat prior to becoming the prime minister. Modi owes his rise to a controversial thrice-banned organization, the Rashtriya Swayamsevak Sangh or RSS. Because he is a head of government, American officials recently sorted through legal complications that had kept Modi from getting an official visa to enter the United States. He long has been controversial for his leadership and politics in Gujarat, which has been wracked by Hindu-Muslim violence. In Gujarat, there also has been persecution of underprivileged, censorship, and crackdowns on nongovernment organizations, unions, farmers, and activists. Modi is continuing to raise concerns in India as his government pursues huge infrastructure projects that could have environmental consequences and force mass relocations. While he won a landslide electoral victory partly because his party crusaded against corruption, Indians are watching warily the select group of wealthy businessmen who wield influence with Modi's government. The Modi government also has upset many with its cuts in social expenditures, including for health, education, and welfare programs; critics say this pushes a sizable poor population into an ever more precarious position. While the president and the prime minister seemed to share warm personal relations during Obama's second official visit—what the Indian press has dubbed a “bromance”—whether the leaders' two quick trips will translate into discernible changes in their nations' relationship remains unclear. Critical details need to be worked out on issues where Obama and Modi said they had made progress: regional security (especially their mutual concern with China and Pakistan), nuclear energy generation and proliferation, global climate change, military procurement, bilateral business and investment, and even the roles of social and religious diversity and working women in the contemporary world. Much work remains to be done in all these areas. At the same time, India is a young, economically booming nation and rising power. While it has a long history with the nonaligned nations movement and with Russia, and there have been rocky moments with the United States, India clearly has strategic import for America in Asia (vis-à-vis restive China) and South Asia (for big security concerns with Pakistan and Afghanistan). Further, there's an important new factor in the two countries' relationship: the growing number of Indians in the United States. Most have powerful political attachment to India and largely see Modi as a “strong,” no-nonsense leader. The almost three million strong Indian community now is among the fastest growing, best educated, and most economically successful émigré groups in the United States. They're exercising greater political clout than in the past, and have been working behind the scenes to ensure better Indo-U.S. relations. All these factors may explain why Obama's visit with Modi, heavy with symbolism, has generated analysts' generally positive reaction—from initial exuberance to guarded optimism. This judgment will be reinforced if the leaders' current chemistry changes Indo-U.S. policy for the better. Gulrez Shah Azhar is an assistant policy analyst at the nonprofit, nonpartisan RAND Corporation and a Ph.D. candidate at the Pardee RAND Graduate School. 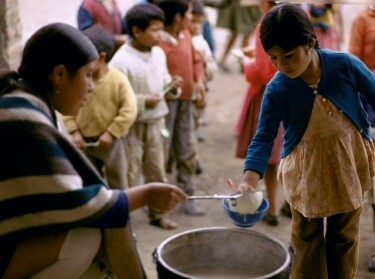 This blog was written for the Pardee Initiative for Global Human Progress. This commentary originally appeared on The RAND Blog on February 3, 2015. Commentary gives RAND researchers a platform to convey insights based on their professional expertise and often on their peer-reviewed research and analysis.